Choosing the perfect windows for your home or office can be a tricky business. The number of options to choose is nearly limitless, and yet this important decision has a tremendous impact on the look, feel, and functionality of your home. Intelligent Design in Maple Grove, Minnesota, helps you sort through these design considerations to choose the perfect window. The perfect window style will depend a great deal on your personal taste and the style of your home or office. Choose a window that goes well with the existing architectural style. Our window installation experts are proficient a wide variety of architectural styles and can help you find the perfect match. The location of your home’s windows should play a key role in your decision-making process. The location you choose may depend upon your requirements for that window. Are you adding a window to brighten up an interior space? Do you wish to watch your children while they play in the backyard? Perhaps you wish to observe the natural scenery. Our expert window contractors can help you choose the perfect location for your windows while using design principles to maintain balanced lighting, privacy, and aesthetics. Many homeowners are choosing to install sliding or gliding windows in their homes. These windows open easily by sliding in a pocket, providing wide ventilation for a home or business. They are safe and easy to clean, making them the perfect option for a busy household. These are available in two-section or three-section sliders. Window casings are a type of molding placed around the perimeter of a window frame. Just as a room’s baseboards and trim are a key design element in a home or office, the casings help the window feel complete. 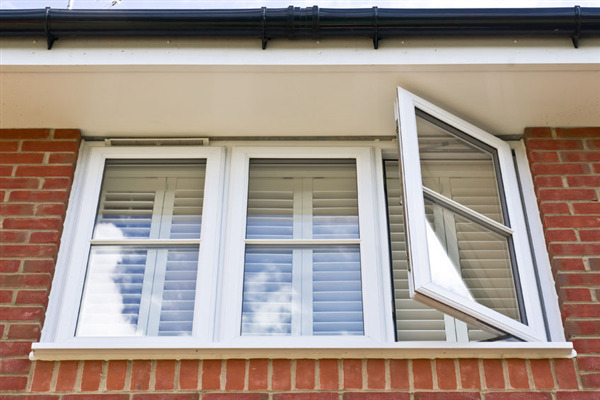 The type of casing you choose will depend on the architectural style of your home and the window it surrounds. Placing at least one window in each room can provide fresh air for your entire home or office. Functional skylights can also increase ventilation. Providing windows across from each other can offer cross-ventilation. Our design experts can help you determine exactly where to place your windows to provide the optimal fresh air for your environment. Choosing the right windows for your home or business can be an important decision. Our contracting team at Intelligent Design can provide expert contracting for your home and get your windows looking terrific. We are also an expert siding contractor, commercial roofing expert, and deck builder with experience in disaster restoration. Whether you need beautiful windows or a roofing contractor for your hail-damaged roof, we are the expert Minneapolis roofing company and general contractor to meet your needs. For more information, call us at 763-315-0745, or you can message us on our contact page.